How did music change the video game industry? 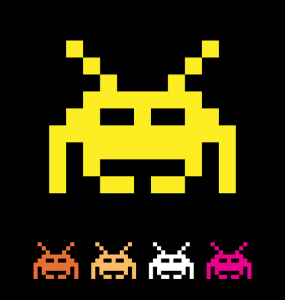 For some, it is easy to remember the soundtrack of Space Invaders filling their ears as they progressed through the game, the same few bass notes pounding along as the lines of enemies pushed closer. For others, such simple backing music is a far cry from the epic main themes we now see released. Just as the visual graphics have advanced drastically, music and sound artists have made huge leaps in their involvement in games over the past 40 years. We have now reached a point in time where certain audio aspects are more widely recognised than the visual ones, at least for some games. A solid example of this would be The Elder Scrolls V: Skyrim. The helmet of the Dragonborn is most certainly an iconic image, but it is nowhere near as popular and well-known as the main theme of the game. This is undoubtedly becoming a more regular phenomenon, allowing for game creators to reach their audience in a whole new way. Whether it is an epic ballad to inspire the player to victory or a tantalisingly eerie melody to strike fear into their hearts, games involve more senses for the player for higher immersion. The question is, where can music take video games next? They are undoubtedly an integral part of their creation now, but can they progress further? In recent years, we have seen creators attempting to explore virtual reality games, that further the visual-immersion aspect of the game, but this has done little to change the impact of audio. The release of Beat Saber this year might be the answer to the question; the game allows players to experience virtual reality gameplay that is directly impacted by audio, but most importantly, music. The requirements of the player in-game are directed by the beat and timing of the music. This means that music is no longer a means to furthering the visual end, but a direct gameplay factor instead.